Detectives are appealing for witnesses after a serious assault which occurred on Adamswell Street near to the footpath leading onto Springburn Road, Glasgow, on Wednesday, September 26. Around 8.20pm a 56-year-old-man was returning home when he noticed a male youth within a rear garden of Ayr Street. 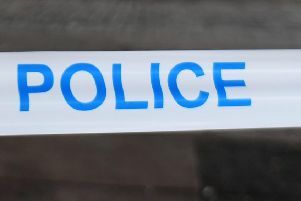 The suspect is described as being six feet tall, large build, and at the time was wearing a black balaclava which covered his face, a black skip hat and dark clothing. The two male youths in the company of the suspect are described as white Scottish, aged between 12 to 15 years old and around 4ft 10 in height. Both were also in possession of mountain bikes. The first youth had red hair and was wearing a red-t-shirt. The second had blond hair and was wearing a green zip top.